The gender pay gap in law firms - is this a David v Goliath fight? Reading about a lawyer suing her former firm for gender discrimination, I was struck by my initial reaction that this lady was mad, she would never work in that town again. My reaction and the lack of transparency in compensation for lawyers in various firms needs to be challenged. As the article highlights, women in law firms in the US make up 45% of their associate population. Starkly, they hold only 18% of big law firm partnerships, and I would be fairly confident that the same is true around the world. This is a case worth following in the hope that it goes to trial, where finally, the very obvious pay gap for women in the industry can be investigated. Read this to end - just to see how this lawyer is being treated for having challenged the system. When Kerrie L. Campbell joined the Washington office of the law firm Chadbourne & Parke in January 2014, she brought more than two decades of experience in consumer product safety and product defamation litigation. 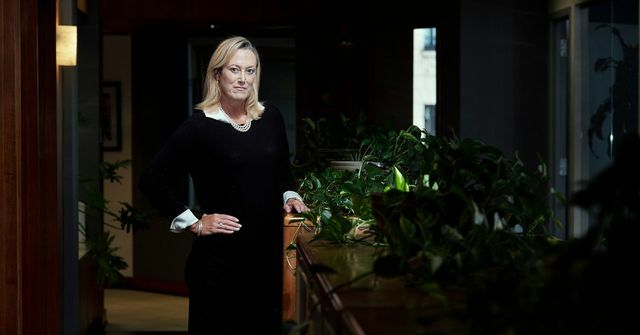 But she contends that other Chadbourne partners shut her out of leadership positions and paid her far less than male partners at her level. After being told this year that she would be terminated, she sued in federal court on Wednesday, asking for a total of $100 million on behalf of herself and other female partners who, she said, receive less compensation than male partners even when they bring in more client revenue. A five-man management committee at the firm arbitrarily awards male partners more points, which translate into higher dollar compensation, than they do to women, she maintained.